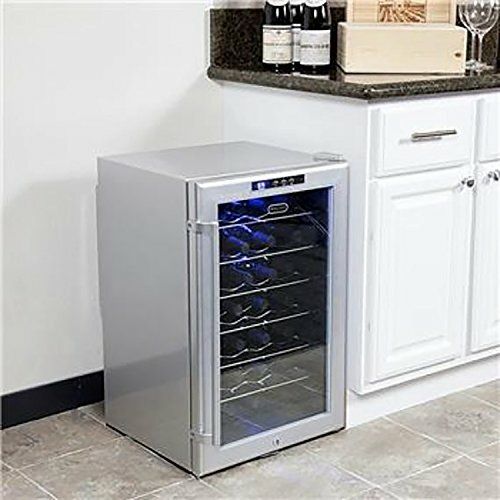 This Whynter WC-28S SNO is a premium wine cooler. 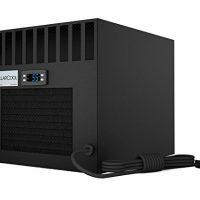 So, the SNO series of Whynter wine coolers are very attractive and look great in most any home or office setting. And, the stainless steel wine cooler door is very sleek. Most of all, this style will look good for many years to come. In addition to its great looks, the Whynter WC-28S also features a door lock. Many models are not offered with a door lock so this is a very nice feature to have – especially if you have kids! 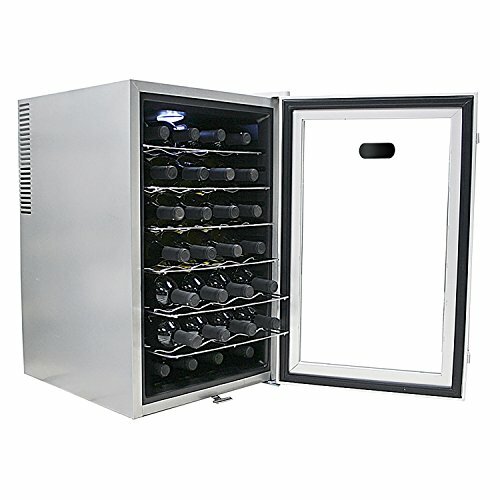 Adjust this wine refrigerator to maintain a temperature between 52-65°F. Also, the display can be changed to show Celsius or Fahrenheit. 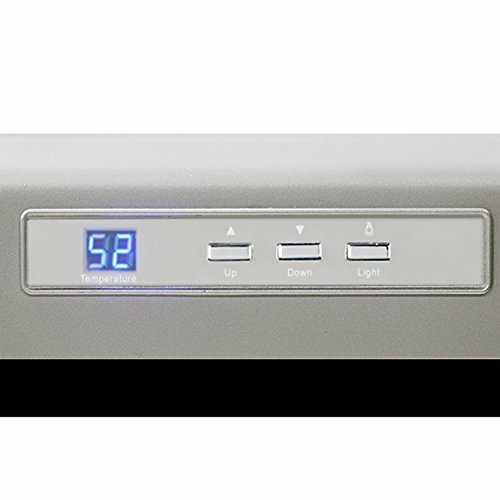 The blue light LED display is used to change the temperature setting. 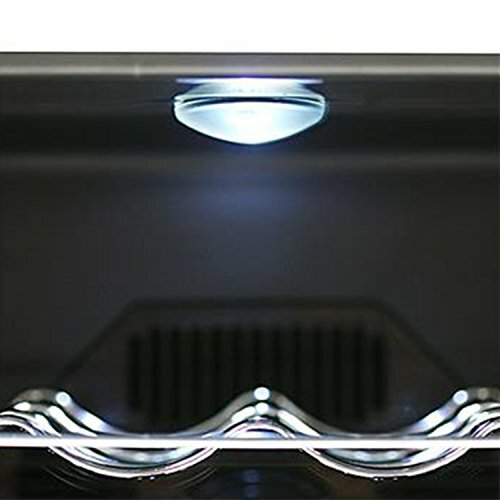 In addition, there is soft LED lighting available inside this wine cooler that is controlled with an on/off switch. 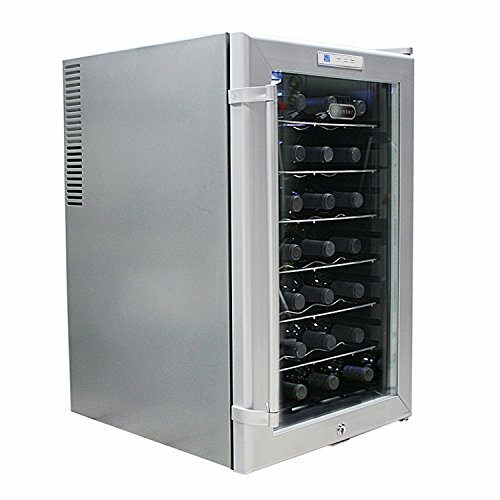 And, let’s not forget this this wine cooler is extremely quiet and vibration free since it is a thermoelectric cooler. 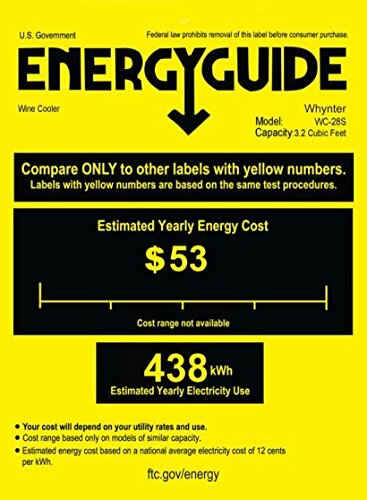 Setting up your new wine cooler is very easy. First of all, pick a location for your new wine chilling machine. 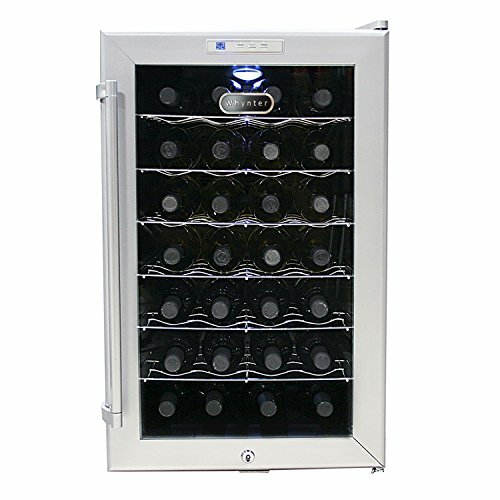 Because the wine cooler is a thermoelectric wine chiller, be sure to allow 6″ of clearance on the back and each side for proper ventilation. We recommend that you get a soft cloth with some warm water to clean the entire interior of the wine cooler prior to filling it up with your precious wines! Next, plug in the power cord to the closest socket. 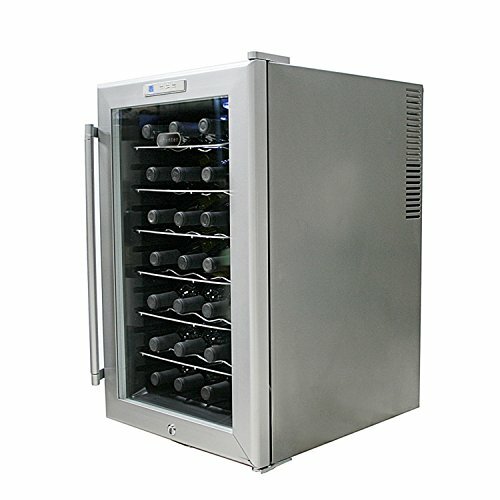 Finally, you can fill up your new cooler with up to 24 bottles of wine! Yet, you will have to wait up to 24 hours before the wine cooler reaches the set temperature. Overall, the Whynter WC-28S is an excellent wine cooler. As long as you are not dead set on having a dual zone cooler, then we recommend taking a look at this model! It is hard to find another model with as many features as this one in this price range. Having a door lock is a must have for many people. 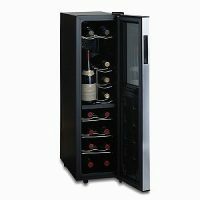 This is one of the few quality wine coolers on the market with this feature! Also, having a soft LED interior light that is controlled by a switch is a huge plus. 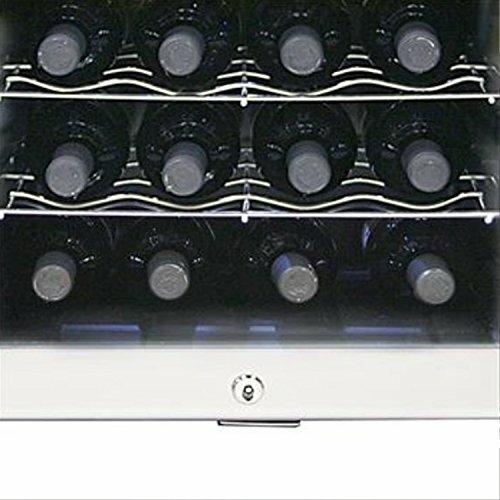 Depending on personal preferences as well as your distribution of red vs white wines, some people may prefer to purchase a dual zone wine cooler. The lowest temperature setting on this particular wine cooler is 52 degrees Fahrenheit.